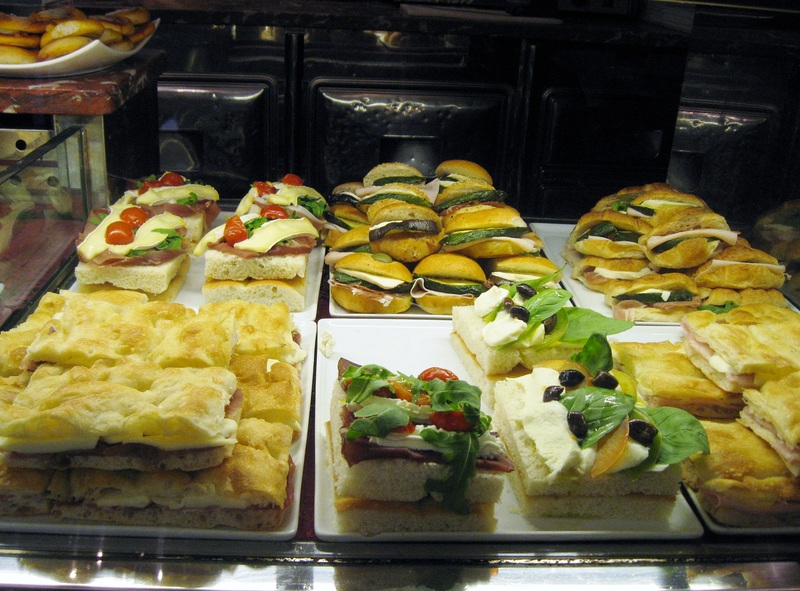 Where in Rome can you eat delicious panini and pastries, get a frothy cappuccino or an aromatic espresso, and at the same time taste freshly prepared meal-size salads, mouth-watering pasta, and scrumptious meat entrees? 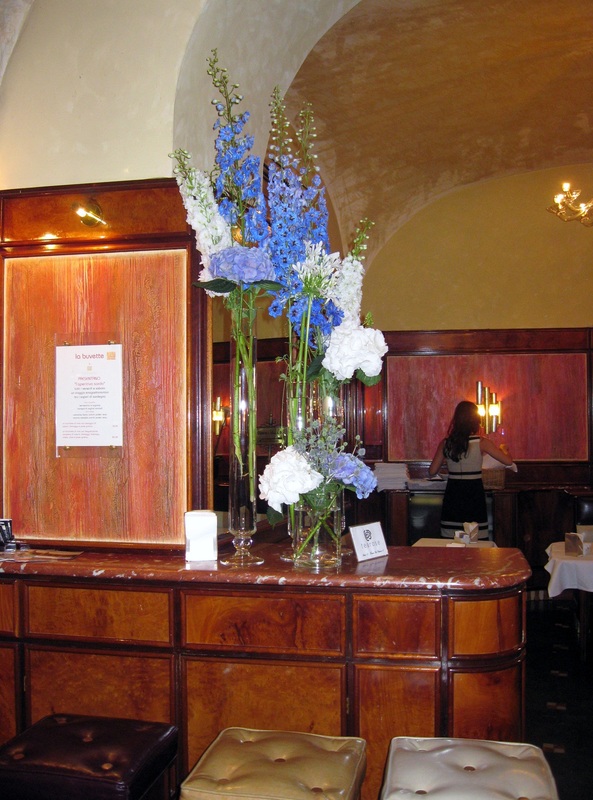 La Buvette – a charming café and restaurant near the Spanish steps – is a must pit stop for shoppers or tourists, who want to have breakfast, lunch, dinner, or just get a cup of coffee or tea. 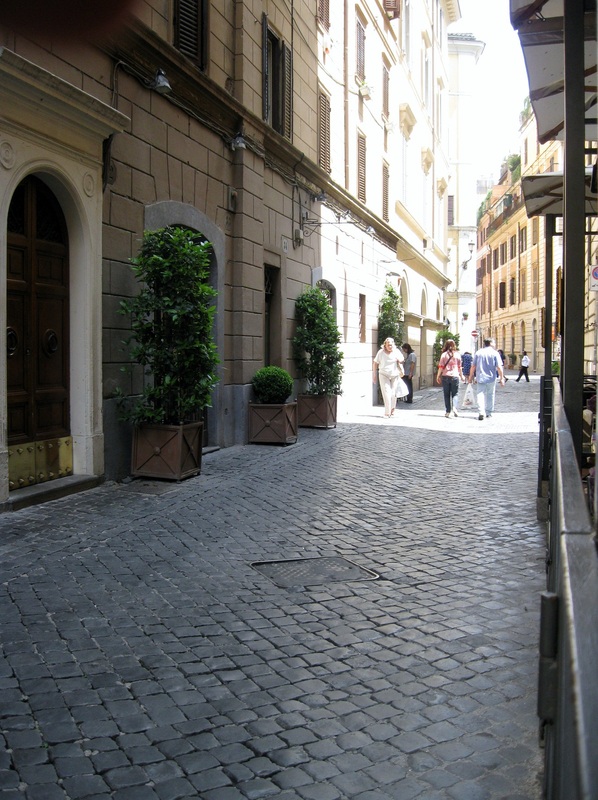 This peaceful and gracious spot is located in one of the most quiet and elegant streets of Rome, Via Vittoria, where you can also find really nice shops. 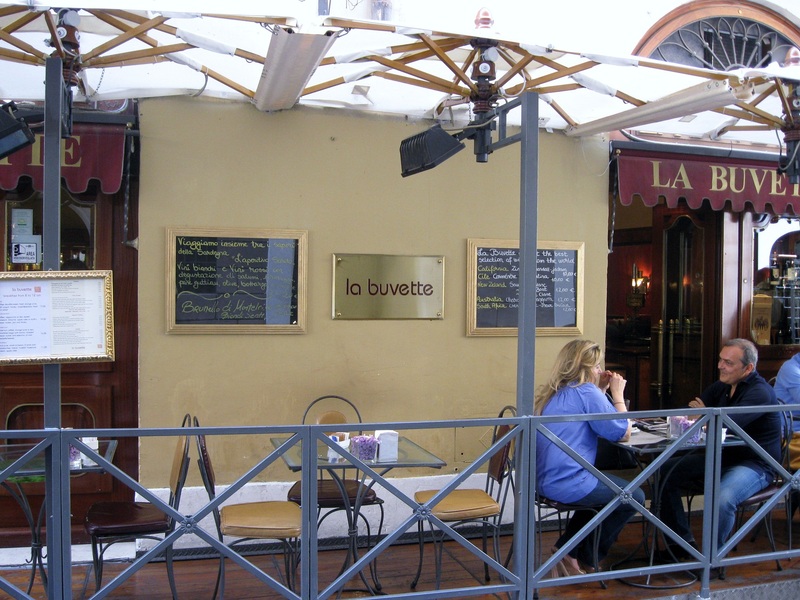 La Buvette features a cozy sidewalk dining area, where you can relax away from the noisy and crowded side streets of the Spanish steps area. 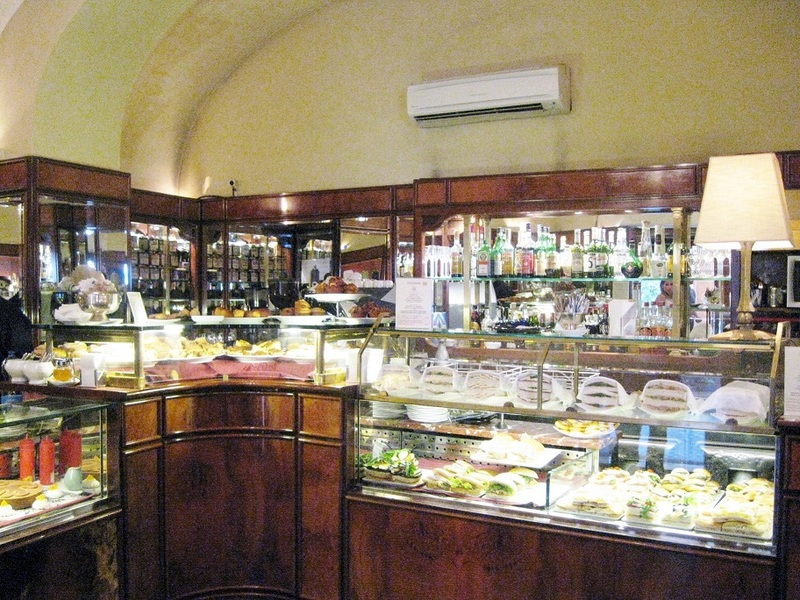 When you enter la Buvette, you notice the splendid wooden display cases with assorted panini and pastries. If you are looking for something with traditional simple elegance but non pretentious, informal but at the same time sophisticated, la Buvette is the right place for you. These panini taste as good as they look delicious!!!!!! One of the things I appreciate from this place is the way they curate food presentation, as much as they use high quality and fresh ingredients. 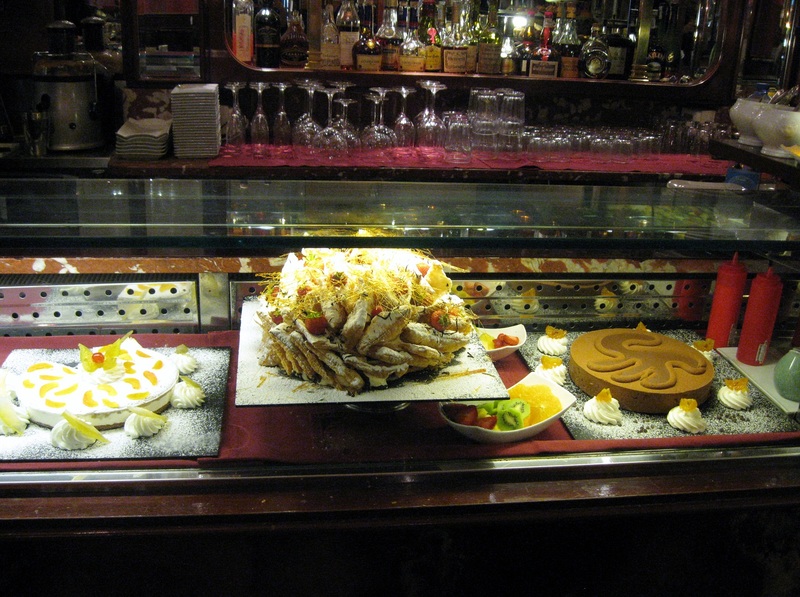 La Buvette is a must stop for coffee break with ambrosial pastries after a long day of shopping. 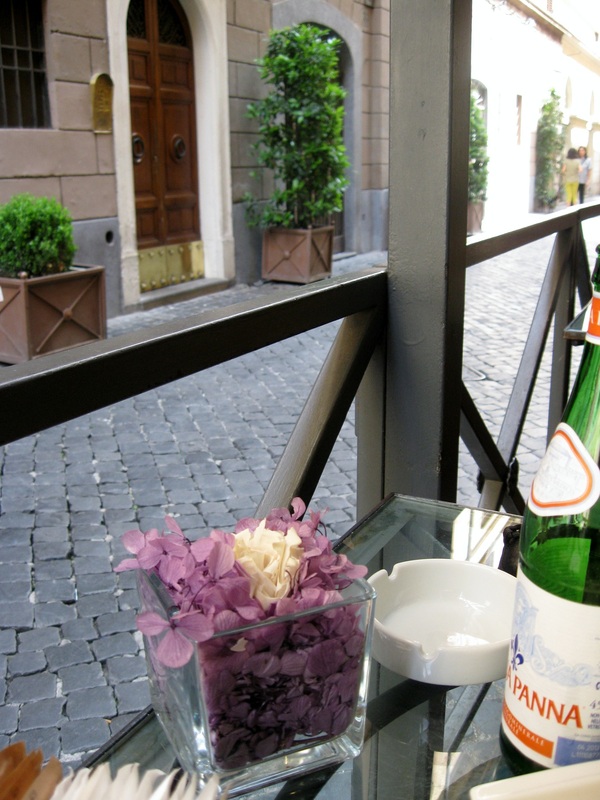 This is the charming sidewalk outdoor dining area. Via Vittoria’s fascinating pebble street from our table. Another view of elegant Via Vittoria. 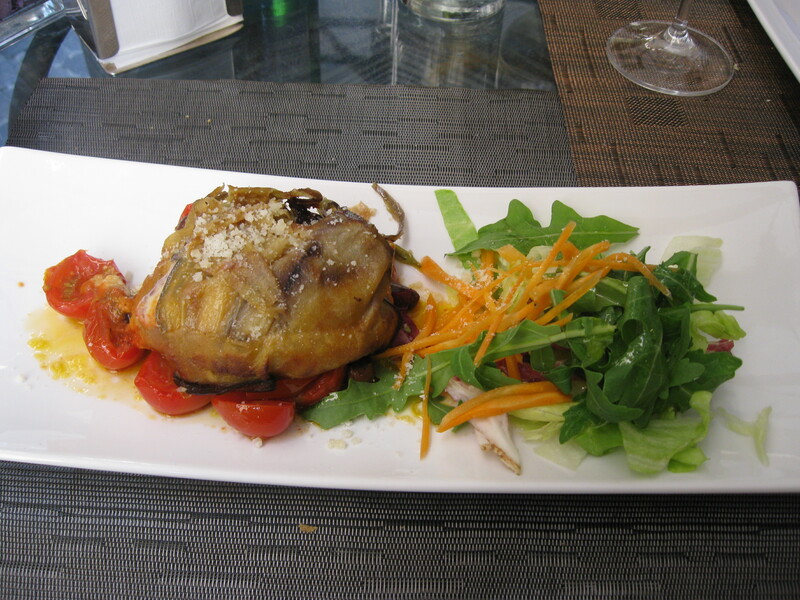 Parmigiana di melanzane (Eggplant parmesan). 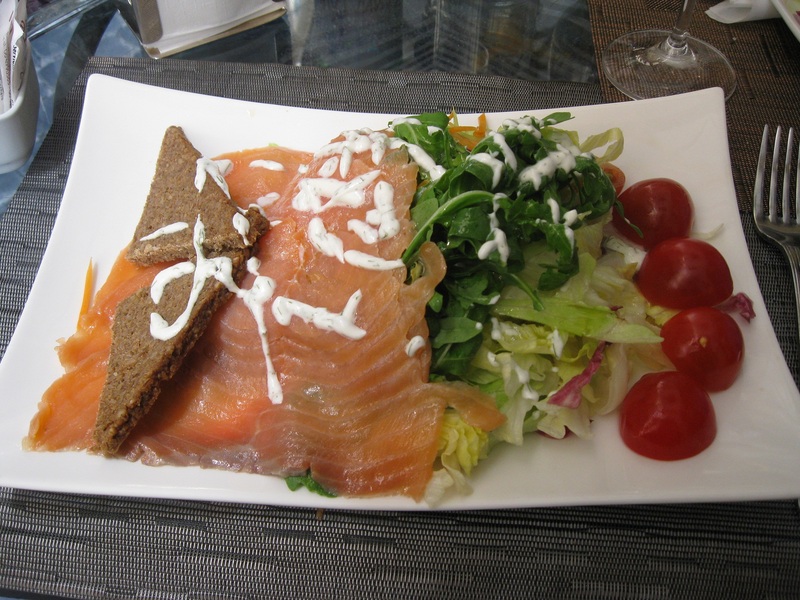 Salmon salad with rye bread and yogurt dill dressing. 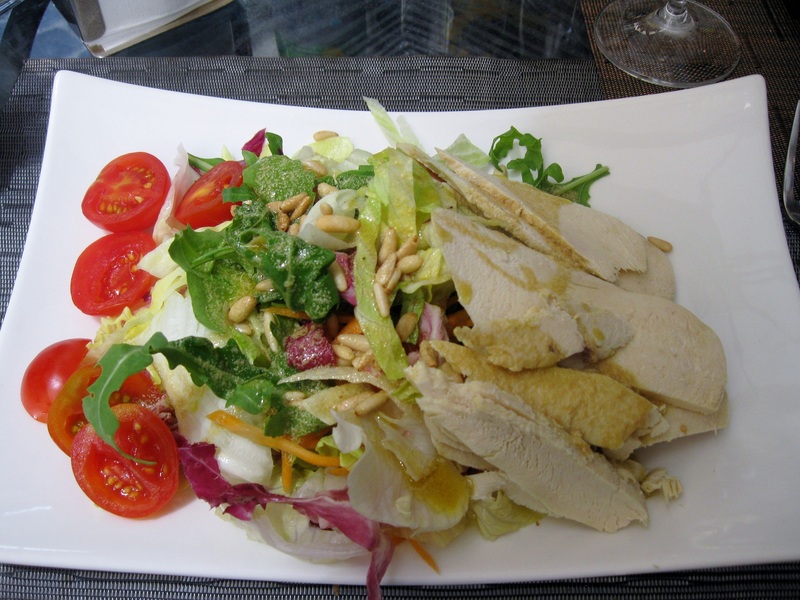 Chicken breast salad with pine nuts and honey mustard dressing. Que rico se ve todo lo que estas mandando!!! Nos abris el apetito!! Segui mandando! Hola Lili!!! Que bueno que le gusta el blog!!! I’ll keep you guys updated!!! I’m loving that chicken salad! I can almost imagine myself sitting there and having coffee. Hi! Thanks for your comment! It tasted better than it looked! !